Highland Check Runner is rated 4.7 out of 5 by 3. 3 for 2 across selected kitchen textile ranges. Add to basket for discount to be applied. 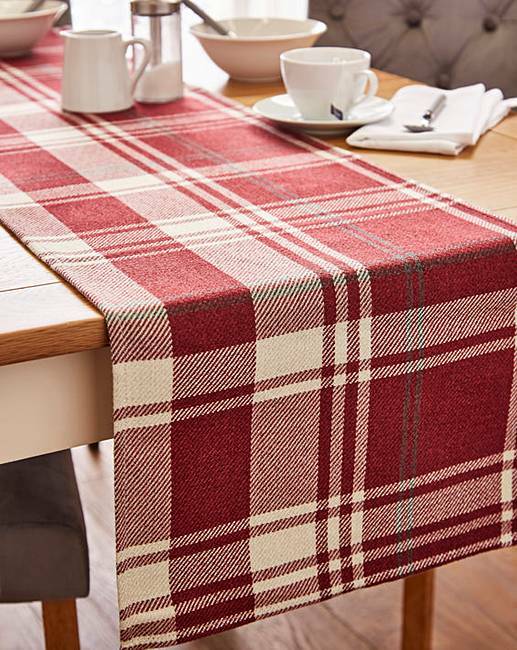 Add a classic and timeless touch to your dinner table with the Highland Check runner. 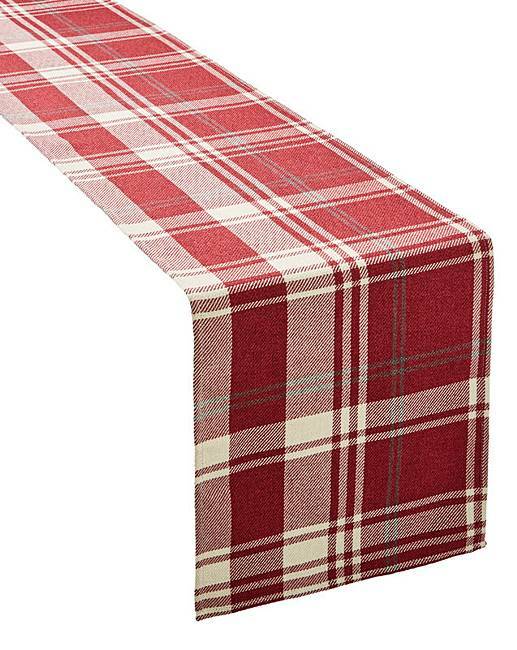 Features a traditional check print, this is the perfect addition to your table to help protect from spills and stains, whilst easily brightening it up! Available in other colours. Coordinating items also available. Rated 5 out of 5 by Diane from Stylish Much better quality than I expected. Very pleased. Rated 4 out of 5 by The raven from Looks good and feel soft I sent this one back as it was wrong colour. Despite wrong colour it was ok.